It looks like we might have some more context on Brock Lesnar’s heated altercation with Vince McMahon after WrestleMania. PWTorch’s Wade Keller reports that McMahon was upset at the excessive blood from the stiff elbows on Reigns forehead. The blood was not approved beforehand and McMahon was said to be irate about this. There was some skepticism and confusion because WWE didn’t shy away from the blood like they’ve done in the past when someone suffers a cut during a match. McMahon was also said to be upset at the bump on the German announcer’s table and the announcers were not prepared for it. It’s not clear if this was something coordinated privately between Lesnar and Reigns or if Lesnar went into business for himself. 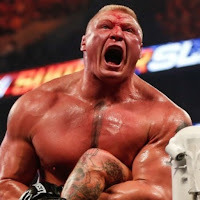 According to a WWE source, the belief is that Lesnar agreed to his new deal before the match at Mania and that is part of the reason why he was booked to retain the Universal title.